I saw with mine own eyes the fish, the maw, (it's stomach), the piece of sailcloth, the book - and observed all I have written. Only I did not see the opening of the fish, which not many did, being in the fish woman's stall in the market, who first cut off its head, to which the maw was hanging, and seeming much stuffed, and all found aforesaid. He that had his nose as near as I yester morning would have been persuaded there was no imposture here without witness. The fish came from Lynn. The book found in the fish's stomach was handed to the educated Mr.Mead still bound in sailcloth. Though the content was a bit battered and slimy it was still readable. The content was a theological treatise written by John Frith while imprisoned in Oxford one hundred years earlier. 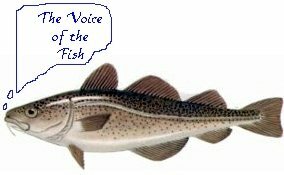 On showing the package to the Cambridge University hierarchy they thought the book worthy of distribution and had this reprinted with the title Vox Pisces - "the voice of the fish." The book was embellished with an engraving showing the fish, the fishmonger's knife and how the original book appeared. John Frith, the author, had been imprisoned in a cellar that also stored fish. The smell was so strong that many of the prisoners died of it. Frith was eventually burned at the stake in 1533 as a person holding an unorthodox opinion about religion. But his book on the subject managed to be published nearly 100 years after his death. That's amazing. Wonder how the book got into the fish and how it only came to be seen 100 years after it was written. Do cod live that long? Good one! I think this one could qualify as a trickster. 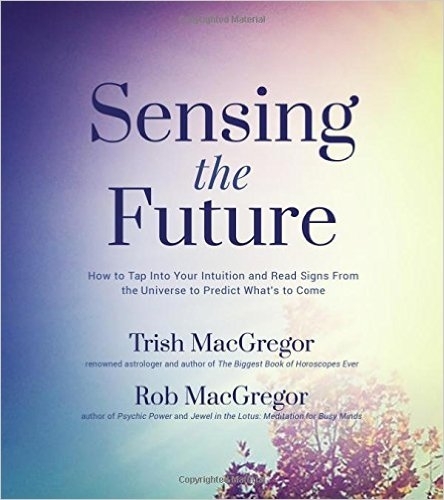 karena - just read your comment on Trish and Rob's blog about Tom - quite a synchro.